Our astrology review guide and directory features Leo horoscopes and astrology forecasts by year, month, week and day. 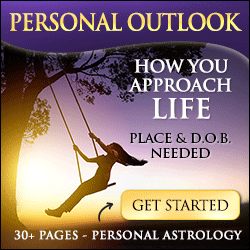 Weekly horoscopes for Leo are featured by astrologer, with reviews of each astrology website. We do the same in our Leo monthly horoscopes and Leo daily horoscopes as well. We've scoured the internet to bring you the best Leo horoscope forecasts and predictions online, including Leo yearly horoscopes for 2019, covering the whole year ahead. Why not have a look at the Leo love horoscopes too, as well as personality traits and zodiac characteristics below for insight into the astrology behind relationships for men and women. The sign of Leo is the 5th sign of the zodiac in astrology. Well known for their extroversion, enthusiasm, creativity, generosity and warm heart, a man or woman with Leo sun sign is symbolized by the Lion. They are the kings or queens and as fire signs, Leos hold strong beliefs and are strong willed, courageous or even dominant. Having fixed quality or cardinality makes Leo less flexible and adaptable than the mutable signs, perhaps even a bit rigid. A Leo man or woman is ruled by the sun itself and like the sun shining light on the planet, Leos create a presence wherever they go with their magnetic personality. These characteristics, which may manifest in Leo rising as well or those with moon in Leo in their natal chart, are their most prominent personality traits. In relationships, a Leo man or woman is sincere, open and kind, front and center stage. Leos are usually fun to be around and their company is frequently desired. Leo is fun, but sometimes old-fashioned and conservative. They can be somewhat overbearing, intolerant or even occasionally pompous and bossy. Leos tend to be quick to trust and are often disappointed when their trust is misplaced. Leo is happiest when they command attention, which is the personality characteristic or trait of being socially dominant. They love the limelight and are very creative and expansive. Leo men and women are usually dignified. In love, Leo is loyal and devoted while their relationships are working and tend to hold on for a long time to their partner. Leos are family oriented and drawn toward children. They are usually kind and giving. However, they sometimes place too much faith in others and on the shadow side, they can be terrible to deal with when they feel crossed. A jealous or wounded Leo woman or man is a force to be reckoned with. They have reputations for deceptiveness and infidelity. Sexually, Leo has a very healthy, even intense appetite. They are so attracted to others that sometimes they have many different partners. Spiritually, Leo is one of the most materialistic signs. The light of the sun does shine penetratingly for Leo into themselves as they seek self-discipline. Leo also seeks to serve others. As in the rest of their lives, Leos are ambitious professionally. They get things done and make excellent leaders. Leo may hurt the feelings of others with fixed opinions and beliefs. They believe they are the leaders and they are usually right! They tend to foster loyalty among their subordinates. Leos make excellent performers. These traits may reveal themselves in those with Leo rising or Leo moon in their natal chart as well. If you would like to know more about the sign of Leo and the astrology behind Leo sun, moon and rising sign, visit our brief astrology primer or in-depth look at all the zodiac signs. For even deeper information about Leo from the best Leo horoscope forecasts and astrology predictions, follow our links and check out our home page to find reviews of the best astrologers and websites at free horoscopes and astrology. We've assembled all our favorite astrology websites in one easy location to save you the hassle of searching for Leo horoscopes and astrology forecasts daily, weekly, monthly and yearly! Our description of the sign of Leo is only a brief overview. For much more information about the sun, moon and rising sign of Leo in western zodiac astrology, we recommend the following astrologers. Whether you speak Francais, Deutcshe, Espanol, Dutch, Svenske, Portuguese or Anglaise, leo, we've got the best leo horoscopes online!